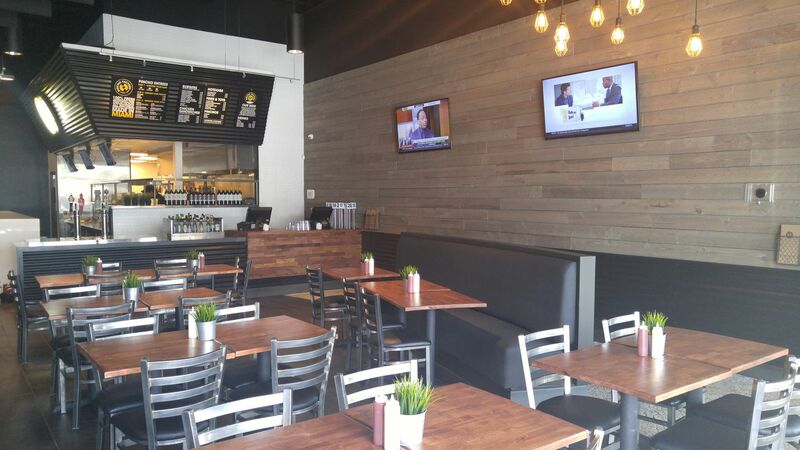 Dreamt up at a backyard barbecue and launched on a shoestring budget in an off-the-beaten location in Westchester, Florida, in 2010, Pincho Factory is the homegrown fast-casual success story launched by cousins and business partners Nedal Ahmad, Otto Othman, and Nizar Ahmad. Now, with two corporate stores to their name and a new one on the way, their first franchise opening on the horizon and a famous franchise partner, the Pincho Factory team is taking the Miami restaurant scene by storm in 2016. Following the whirlwind of franchising bids created by the Amstel Light Burger Bash win, the team was approached by a slew of franchise candidates. In summer of 2015, the team was approached by a candidate whose offer they could not refuse. NFL star Jonathan Vilma, a longtime fan of the brand, contacted the entrepreneurs with a keen interest in becoming part of their business family. “Jonathan is an amazing athlete and person. Born and raised in Coral Gables and former University of Miami, he loves the city, its culture, and flavors,” Othman says. “He is an incredible business man and is as passionate about Pincho Factory as we are. His work ethic, leadership, and restaurant experience will be a great addition to our team. We are honored to be working with him.” The recently retired Vilma has signed a five-store deal including his first opening location in Brickell at 50 SW 10th Street, which is slated to open summer 2016. Future franchise locations in Aventura, Miami Beach, Fort Lauderdale, and Midtown are set to follow. In addition to corporate and franchising store expansion, the Pincho Factory team is doubling its sports arena presence. The team will be broadening its food and beverage partnership with American Airlines Arena by opening a second food station there in early 2016. The current outpost is located in section 325 of the arena and serves creative burgers, kebabs, offering a unique menu as well as the brand’s proprietary beer on tap, 627 Ale, locally brewed by Wynwood Brewery. Additional projections for expansion throughout the Southeast and East Coast include a goal for 20 stores to be signed and in development by the end of 2016 and 50 by the end of 2017. To support the ongoing brand development, Pincho Factory has teamed up with Michael Silverman of Comras Company. Comras Company is a full service real estate brokerage company focused on urban and suburban retail leasing and sales throughout South Florida and one of South Florida’s dominant boutique real estate companies.